During their Hall H panel at San Diego Comic Con, The Walking Dead's showrunners and producers proudly revealed the casting of Ezekiel for when the show returns in the fall. 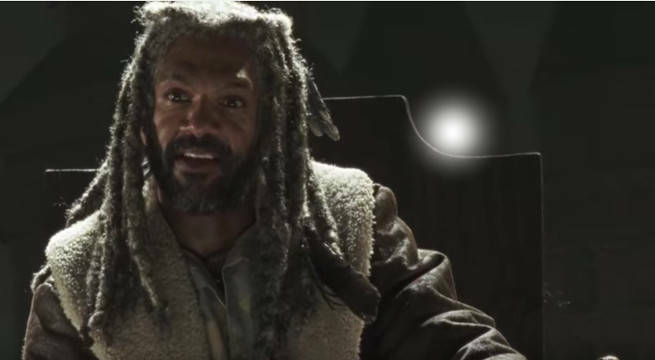 Khary Payton will be playing the role of Ezekiel on The Walking Dead and mastering his pet tiger, Shiva. Ezekiel is the kingly leader of the Kingdom community, a Safe-Zone yet to be introduced on The Walking Dead but teased in the final two episodes of season six with Daniel Newman's unnamed armored character. Ezekiel's community plays a major role in helping Rick, Alexandria, and the Hilltop communities taking on Negan and his Saviors through the All Out War storyline. Prior to the apocalypse, Ezekiel was a zookeeper. When the world fell apart, one of his loyal animals, a tiger named Shiva, stayed by his side and protected him. In the comics, Ezekiel finds himself involved with Michonne, opening up for the first time. Based on the events of the TV series' and its diversions from the comics (killing Rick's comic book wife Andrea and pitting him in a relationship with Michonne), it's safe to say he won't be involved with the katana-wielding survivor. Khary Payton is best known for roles as the voice on Teen Titans Go. Rumor has it, he'll make his debut as Ezekiel in the third episode of The Walking Dead's seventh season. The Walking Dead will return for its seventh season in October. For quick updates and photos from The Walking Dead's panel, set, and show floor booth (and all season long), follow me on Twitter @BrandonDavisBD and check out The Walking Dead on ComicBook.com's Facebook page!